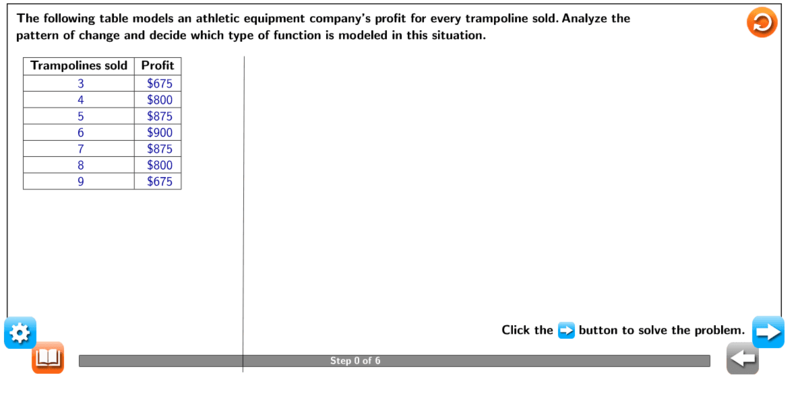 The following table models an athletic equipment company’s profit for every trampoline sold. Analyze the pattern of change and decide which type of function is modeled in this situation. 1. Check for any pattern in the first difference between dependent values. 2. Check for any patterns in the second difference between dependent values. This applet is provided by Walch Education as supplemental material for their mathematics programs. Visit www.walch.com for more information.